Best swimming style fins = shinfin™ leg fins = Freestyle, backstroke, fly. Want a better swimming style? + Best for freestyle, backstroke & fly. + Ankles flex with correct timing. + Proper kick balance for arm pulls. + Improve & strengthen your stroke. Fins for best swimming style. Wish fins improved your technique? Would you like fins that enhance the correct stroke biomechanics for freestyle, backstroke & butterfly? Would you like swim fins that improve your swimming technique (unlike regular flippers that corrupt your technique)? So why are shinfin™ leg fins the best fins to match and improve your swimming style? Fitting fins on your legs gives you a new design that enhances your natural swimming biomechanics. Having the fin power connected directly to your legs helps you move more naturally in the water and improves your strokes. 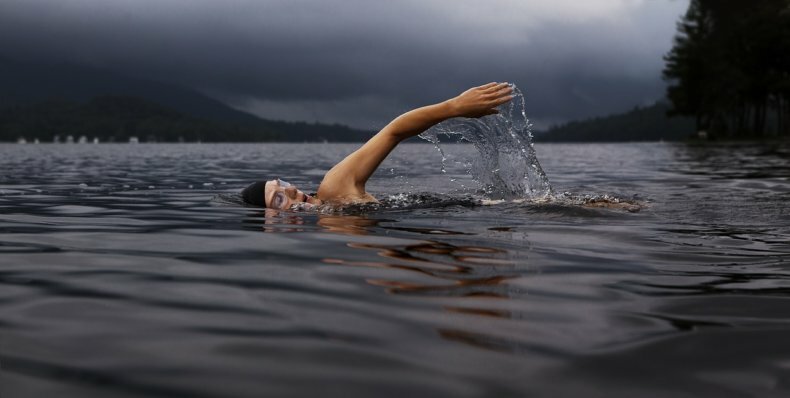 This is the way your body should be swimming. This is the way that feels best. Designing these fins to match and improve your natural swimming styles is my passion. It’s all about designing fins to match the swimming biomechanics of your whole body moving through the water, not just your legs. Even after you take them off, your body still remembers your improved kick. You automatically imprint the new kick pattern on your muscle memory. That’s why these are the best fins for your freestyle, backstroke and butterfly. They feel great and improve your swimming style at the same time. They work for adults and children. You can be just learning to swim or already an elite swimmer. Perhaps you have a movement disorder or an amputation. These fins will still improve your swimming style. If you are learning to swim, they are like a teacher guiding your swimming style. If you already know how to swim, they enhance and strengthen your swimming strokes in the correct way. If you are an elite swimmer serious about your freestyle, backstroke or butterfly techniques, then they help you take your swimming skills even further. Have you felt how regular flippers strain your feet, ankles and calf muscles? Have you noticed how flippers force you into strange and unnatural movements? Have you realised that they are ruining your swimming style? What bad swimming habits have flippers given you? The best swimming style fins need to be on your legs, not on your feet. Would you like fins that teach you how to swim? It’s like having your personal swim coach. Or do you want fins to help you swim better freestyle, backstroke or butterfly? Maybe you need fins to improve your muscle efficiency or balance how your arms and legs work together? Perhaps you just wish you could enjoy a better swimming style and feel great in the water? Read on to learn more. Or contact me. I’d love to discuss how shinfin™ leg fins will help you. For customer testimonials about people really improving their swimming style with these swim fins, please see Best Swimming Style Fins Reviews. For customer faq about why these fins give you the best swimming style, please see Best Swimming Style Fins Fins FAQ. To learn about why these swim fins offer you optimal power from your hips and the best streamlining, please see Benefit 6 – Hip Power Fins and Hip Power Fins Reviews. Please also see Benefit 7 – Streamlined Force Fins and Streamlined Force Fins Reviews.